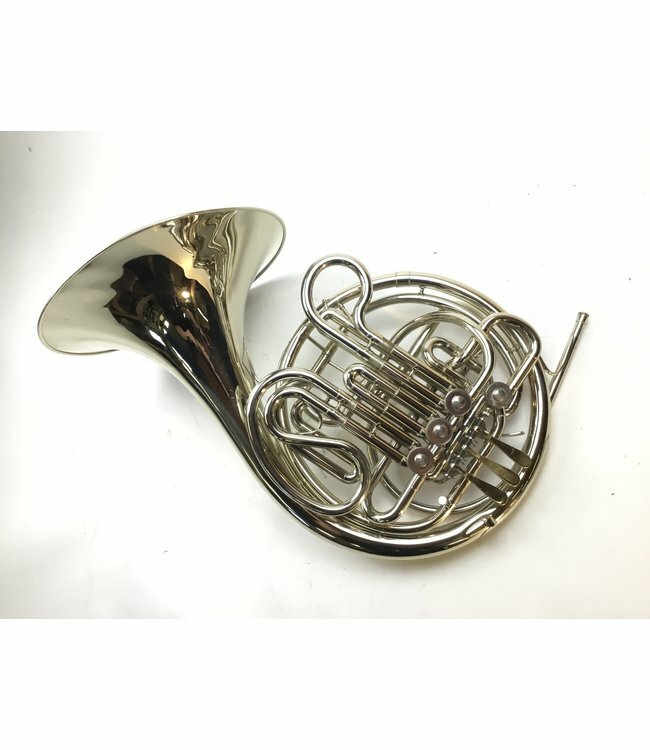 Used Holton H379 F/Bb French Horn in nickel-silver. .468” bore, 12.25” bell flare, Kruspe style wrap. Instrument is in good condition apart from minor lacquer wear, scratches and dings throughout. Evidence of previously repaired bell dents. Comes with case.